Actually, it is on my mind quite a bit these days, as you can imagine. But that’s also the title of the new website where I will be contributing to articles about life, and health care in Mexicali. It’s a website designed for Americans and other extranjeros living in Mexico, so I thought it was the perfect place for some of my articles on medical emergencies and medical services. I think that if you are an ex-pat living in a different country/ culture/ etc. even if you’ve been here for a while – if you become ill, it’s a little more frightening and confusing than it might be in your old hometown. So, hopefully the addition of a fellow gringa to help navigate the system, so to speak, is more comforting and helpful to readers..
Of course, many of the readers of the site are living in different areas of the country, so this is also a chance for me to speak up and promote Mexicali – and after being here for a couple of months – I really think that Mexicali is often judged harshly. Sure, I don’t want it to become the next Cabo San Lucas – where Spanish is drowned out by drunken teenagers hollering, puking and carrying on in English, and Mexican culture has been submerged beneath a sea of tacky shops, Starbucks, and the homogenous effect of chain restaurants and fast food. But I also think that when people skip over Mexicali, they are missing a chance to see an interesting side of Mexico – a side that is often downplayed to tourists unless you are heading to Mexico City. 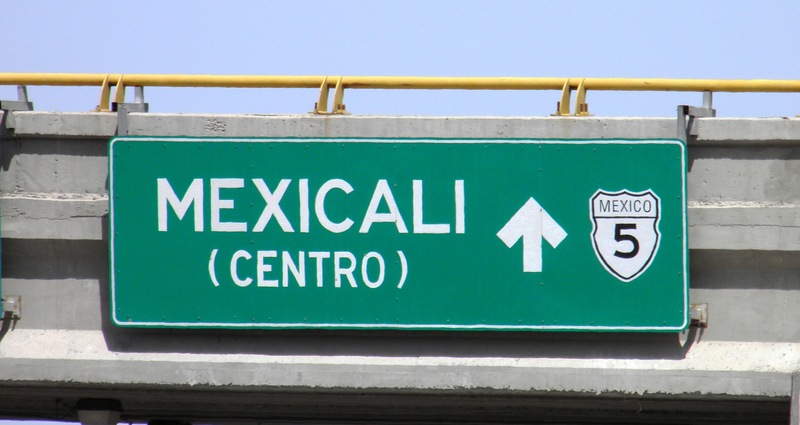 But first – let’s be sure to say what Mexicali isn’t. It isn’t a quaint seaside resort, or charming village. It also isn’t a crime-infested border city, as we’ve talked about before. If you are looking for cute, charming and rural – this isn’t the place for you. But that’s not to say that Mexicali is without its own considerable charms. It is first and foremost – a city of industry. While this contributes to wide areas of industrial blight (factories and their by-products aren’t particularly attractive) – it also means that there is a significant sector of skilled labor and a higher overall standard of living. Some of this industry is medical, but much of it is more traditional – factories and companies who came here to take advantage of NAFTA. Frito-Lay is here, Modelo brewing is here, as well as several juice distributors and machineries. But there is also Intuitive Surgical – the makers of the DaVinci Robot, a two million dollar piece of extremely sophisticated medical technology. It is also the capital of Baja California, so there is a large contingent of government offices here too, along with the Universities and educational facilities of higher learning. But most importantly, it is a city of people. These people are the true heart of ‘Mexican culture’, in a very real sense. I am fortunate that as a student, in my daily activities – I get to encounter these people on a day-to-day basis – and the people of Mexicali have proven to be as friendly and welcoming as any city I’ve ever lived. Despite the close proximity to the border, this is the real Mexico – and it hasn’t been diluted. Spanish remains predominant, and real working class citizens populate the streets and buildings as opposed to the more touristy destinations where everything has been ‘Americanized’ for our comfort. Want to learn Spanish? Then come here. You will get to practice every day. People will help you, correct your grammar, offer you the occasional missing word – and they do it with patience and a smile, but they will expect you to speak Spanish all the same. 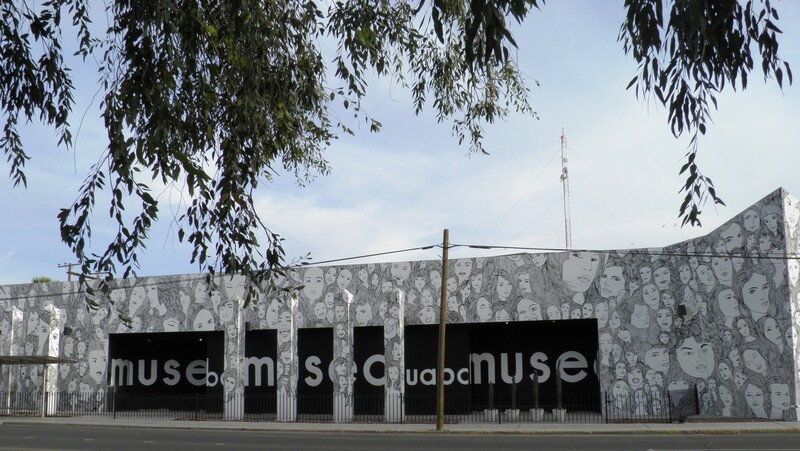 The charm is here – on the quiet, upscale streets in the different barrios of the city, in the music emanating from well-kept homes, in the kitchens of mom and pop restaurants serving native dishes, and in the way that residents still welcome outsiders like myself. They have pride in their city, their way of life and take pains to encourage me to sample it – pieces of their culture, whether as part of traditional festivities for a national holiday, or a bite of food from a street vendor or even just directions to the best [blank] in town. It also has its own identity, distinct from larger Mexico. Some of this comes from dealing with the heat – 120 degree days in the summer are not uncommon – on these dry, sun-baked and parched streets.. Some of it comes from the unique make-up of this city – which boasts a shared heritage with a large Chinese community who fled the states after building the railroads. So, yeah – they probably have the best Chinese food in Mexico too. So hopefully, as I write about the doctors, and hospitals of Mexicali, visitors to the city will see the other charms that make me appreciate this place a little more every day. This entry was posted in Cuisine & Culture, Medical tourism in Mexicali, Mexicali, Mexico, student life and tagged eating in latin america, food, Health care and medical services in Mexicali, Life in Mexicali, Mexico, Mexico on my mind, regional cuisine, surgical tourism in Mexico. Bookmark the permalink.